This is the ultimate Lean Luxury supper – light, tasty and delicious with the promise of staying brainy, healthy and happy. My fabulous personal trainer, Tina, gave me a list of things I was allowed to eat in order to help me drop some weight. The top thing she suggested for supper was fish and vegetables. 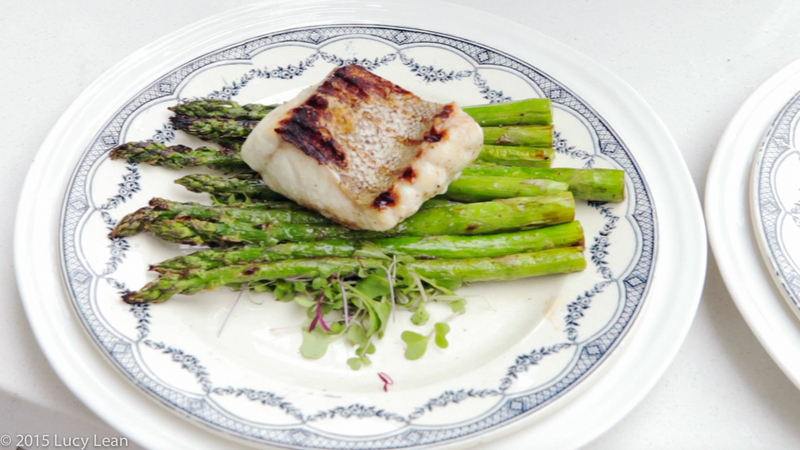 Now the idea of making fish and veggies isn’t that appealing to me – or rather it wasn’t until I set my mind to it, researched some chef recipes and used my outdoor kitchen to grill the fish… now it’s one of my go to favorite Lean Luxury suppers. 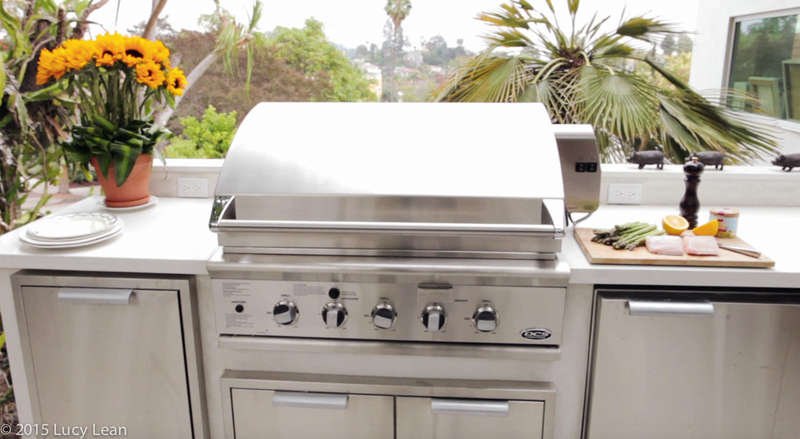 The grill is perfect for cooking fish because the house isn’t filled with the smell of a fish shop once you are done – you take it outside. 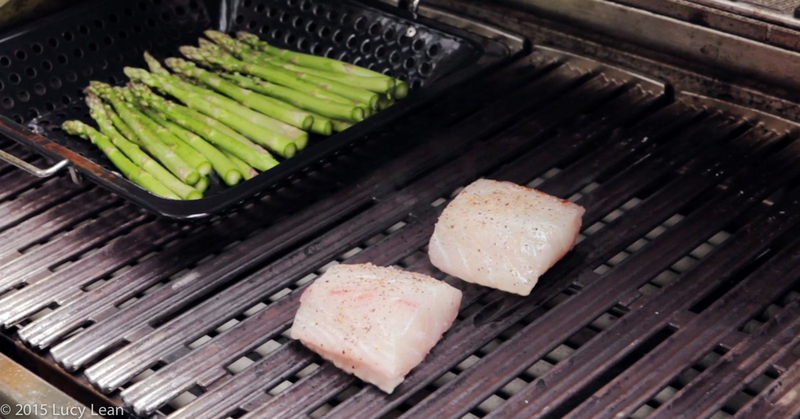 Along side the fish it’s very quick and easy to grill up some vegetables – here I grilled asparagus but any vegetables in season would be good – squash, zucchini, cherry tomatoes or green beans. Use a non-stick grill bowl, it’s super useful for containing the veggies but also allows them to get a nice amount of sear from the hot grill below. Cook for a few minutes, toss in the middle, until lightly charred and tender. 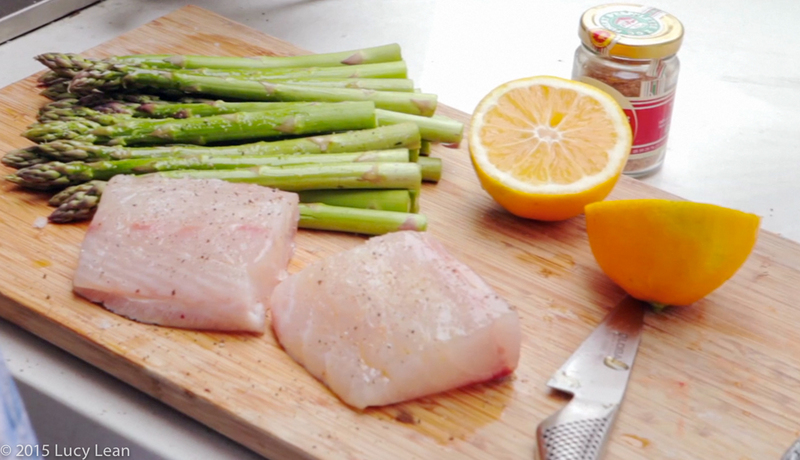 Nathan at McCalls Fish and Meat picked out these grouper fillets – you need a firm fish for the grill. 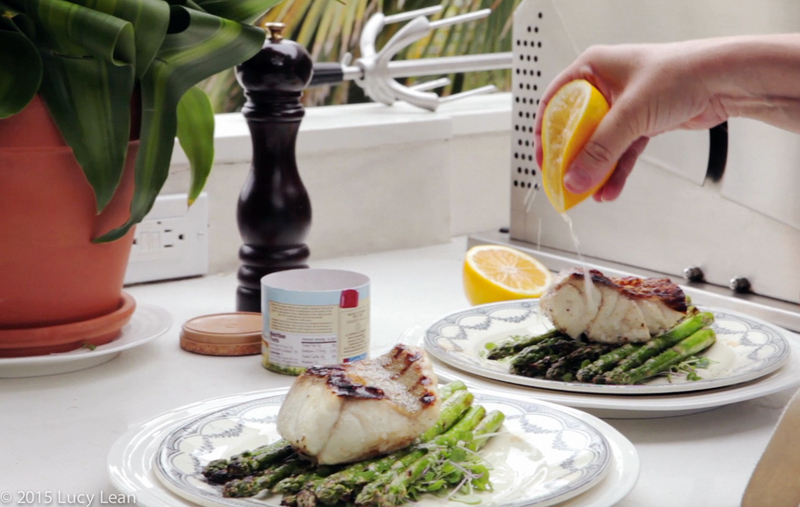 Lightly oil the fillets and season with fleur de sel, black pepper and a little sprinkling of pigment d’Espelette – a trick that Chef Michael Cimarusti shared with me for Made in America and that I go back to again and again. Heat the grill on high for about 10 minutes. Once you have prepped the grill by cleaning it and wiping the grates with a little oil, turn the center burner off and the outer burners to low. You are ready to place the fillets on to the center of the grill, skin side down. 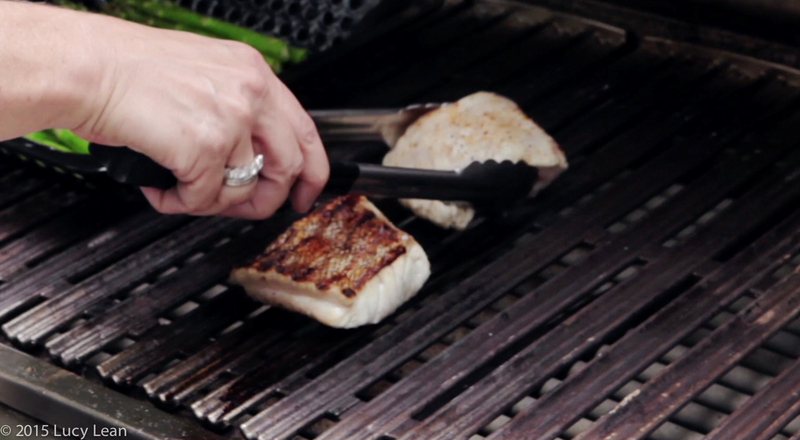 Do not move the fish until it is released from the grill, about 3 minutes. Turn it over and let it cook through – about 5 minutes total and until the internal temperature reaches 145 F – you can see the fish is cooked because it becomes white and flaky. Just be careful not to overcook it – no one likes dried out fish. 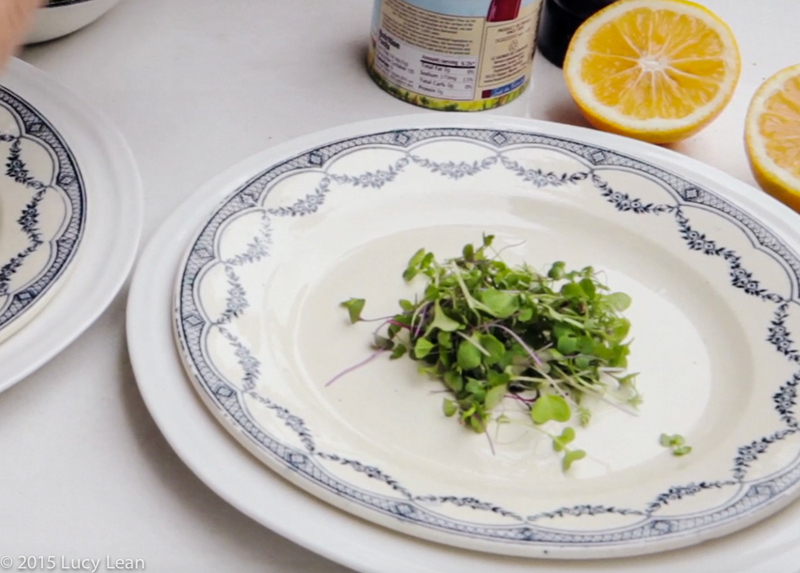 First rule of plating – find a pretty plate. I love these Vintageweave ironware French plates because the food is on a white background with the prettiest border. 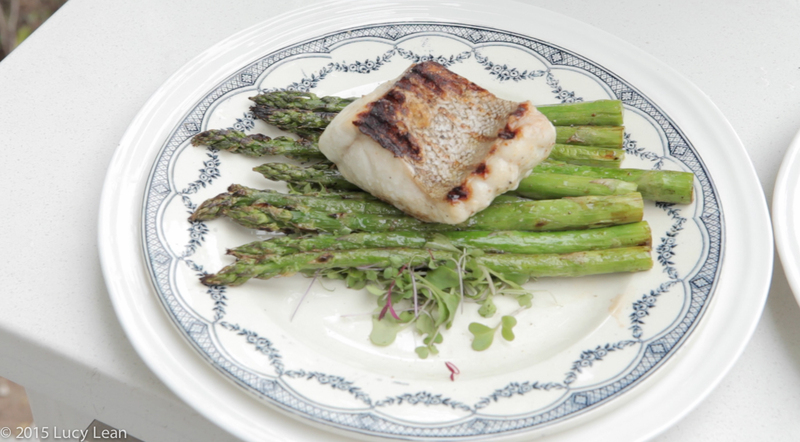 Plate the fish on to a bed of micro greens, or baby salad leaves – add the asparagus and then the fillets on top. Drizzle with lots of lemon juice, extra seasoning and serve immediately. Nothing tastes as good as skinny – and this is what you need to eat to get there! This is Lean Luxury at its finest – bon appetite!